A major shift here that may signal a further weakening of the resolve of the Mubarka government. 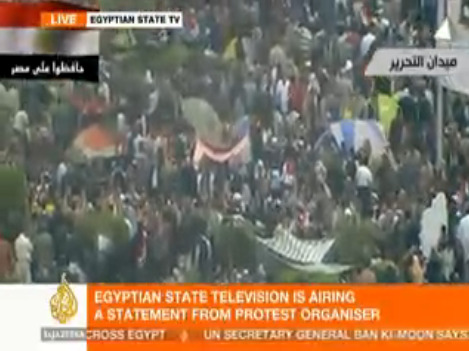 State TV is now shoring images of the protesters, and interviewing them for the first time. This screencap is from Al-Jazeera playing state TV.